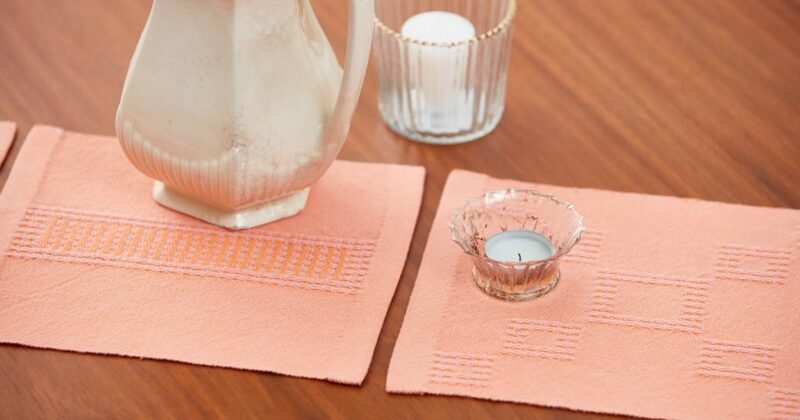 Laura Fry’s Bronson Table Mats are a fun spin on the traditional one-piece runner. I designed these table mats in Bronson lace with the goal of showing how a single threading can yield different results based on tie-up, treadling, and which side is deemed the right side. In Bronson lace, there are tie-down picks every sixth pick, causing the pattern picks to pack in more tightly. Learning how to adjust your beat to achieve a balanced cloth may take some time. I suggest adding extra length to your warp so you can practice. To keep myself aware of my beat, I often include plain-weave selvedge edges, which I did on these mats. In 8-shaft Bronson lace, shaft 1 is lifted for tabby a; shafts 2 through 8 are lifted for tabby b. The treadling is tabby a, pattern, tabby a, pattern, tabby a, tabby b. Tabby b, the sixth pick, is needed to tie down the floats in the warp that are on the back of the cloth. Look at the draft and you will see that after the plain-weave edges, every sixth warp end is on treadle 2. These are the tie-down ends that tie down the weft floats on the front. 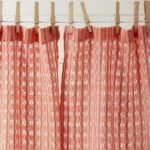 If you do not have 8 shafts, you can still weave detailed Bronson lace designs by doing them with pick-up. When weaving Bronson lace with pick-up, the loom is used to open the appropriate sheds; you are not limited by how many shafts you have but can make quite complicated motifs with just 3 shafts. EQUIPMENT: 8-shaft loom, 11″ weaving width; 10-dent reed; 1 shuttle. YARNS: 8/2 unmercerized cotton (3,360 yd/lb; Brassard et Fils). 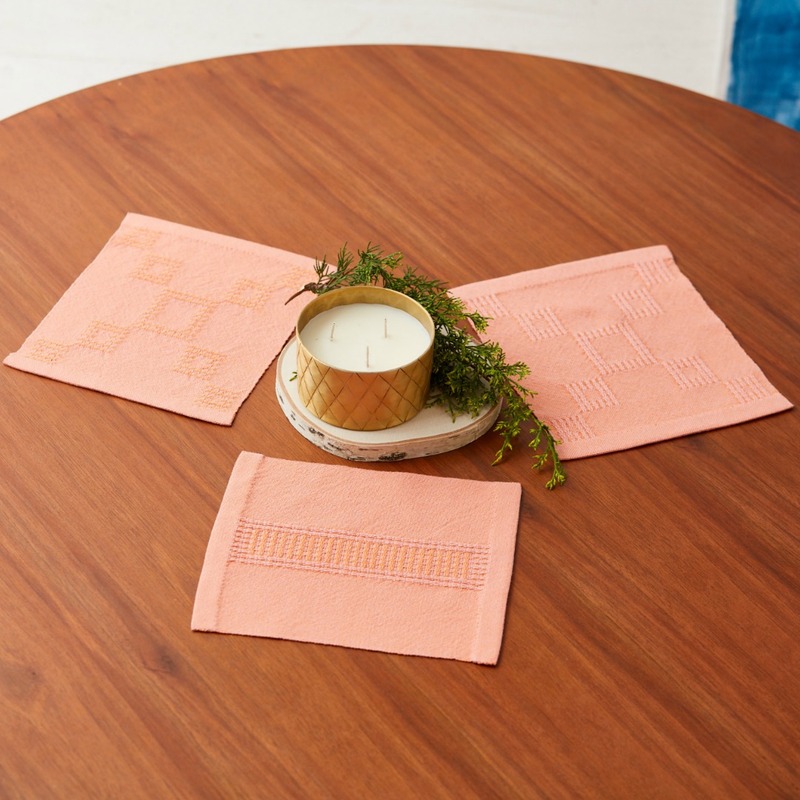 Featured Image: Laura Fry’s Bronson Table Mats are a sweet addition to any room.